New research from Roy Morgan finds 8-in-10 people who’ve made a claim on their household insurance last year are satisfied with how their claim was handled. While satisfaction for household claims is below the 86.6% satisfaction rating for vehicle insurance claimants, it must be understood that an insurance claim at your home is a far greater disruption than having a car repaired and depending on the type of claim and structure involved can be far more complex. This latest research from Roy Morgan, collected for the first time over the last year, establishes a critical metric for this highly competitive industry. Among the eight largest household insurance companies (based on claim numbers), Suncorp had the highest rating with 85.5%. 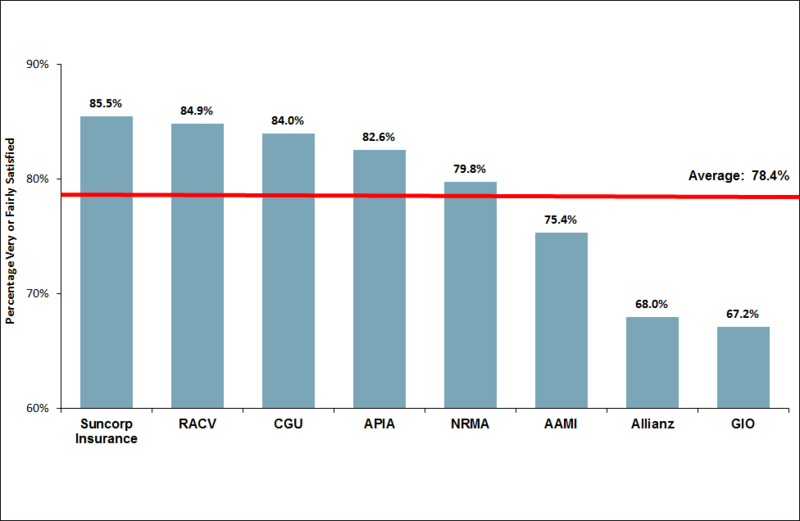 Other companies with above average ratings were RACV with 84.9%, CGU (84.0%) and APIA (82.6%). The largest insurer, NRMA was close to average with 79.8%, while Allianz (68.0%) and GIO (67.2%) were below. These new findings are from Roy Morgan’s Single Source survey of over 50,000 consumers per annum, including around 5,500 who have made a general insurance claim. “How general insurance companies handle claims is a critical factor in establishing long term loyalty and trust, as it is the real touch point with members. This research shows that there are major differences in satisfaction levels between companies when it comes to household insurance claimants and that it would be invaluable to learn from the best performers. Strong Customer Service comes from a strong culture and strong partners! 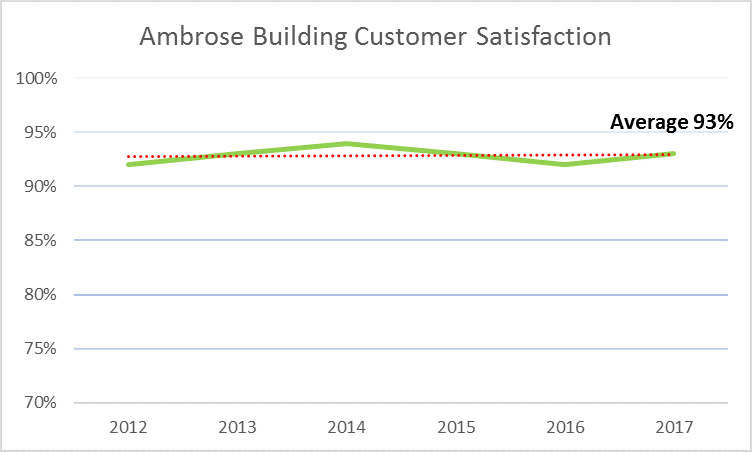 Ambrose Building, year on year, has delivered incredibly high and consistent customer service, achieving a customer satisfaction rating averaging 93% since 2012. The below comments from 2018 customers reflect the current commitment from our team to ensure a seamless and positive customer repair experience. “Hi folks, I would just like to say thank you to all your tradies who did repairs to our storm damaged roof and ceiling at Glenview. All your guys did a great job. Good to see tradies who put the effort in to do a good job and fit in with clients needs. Special thanks to Ryan Flynn amazing to see him appear at our door just as the storm was ending and getting a tarp on the roof. We also understand that good customer service is critical to the overall success of the repair and whether the customer leaves the repair with a positive attitude toward their insurer or not. Customer Service is a key part of our culture at Ambrose Building. Business Queensland confirms that the key to good customer service is building good relationships with your customers. Promoting a positive, helpful and friendly environment will ensure they leave with a great impression. continuously look for ways to improve the level of customer service we deliver. To ensure household insurance customers receive the best experience possible, we will always strive to improve upon our customer service promise to our clients and their customers. While we may not get it right 100% of the time, we commit to always fixing any defect, listening to every customer and aiming to do better than we did yesterday by continually listening, learning and acting.